How can Flatwoods Management best serve you? If you have a tract of timber or farmland and want to maximize income and improve your property for timber, wildlife, or other agricultural potential, we can Help. We specialize in helping landowners reach their goals for their property by managing all types of agricultural practices. 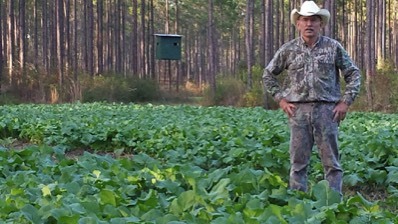 After dairy farming in Duval County for most of his life, Doug Moore, of Flatwoods Management since 2002 has owned and managed 2400 acres that has been intensely maintained for wildlife and for maximum timber production. Being self-educated through the help of experience serving on a farmer’s owned bank, attending hundreds of hours of classes on timber and wildlife management through the University of Florida extension services, Fish and Wildlife Commission, Florida Forest Service, Farm Service Agency, USDA and by management of personal property, working with timber brokers, foresters and environmental engineers which has given him a diverse, practical knowledge of how to maximize the income of forest properties so that the rewards can be seen of a well managed forest. Doug looks forward to hearing from you and assisting you in building a more profitable and enjoyable forest ownership program. Director North Florida Prescribed Burn Assoc.